Rino is a neighborhood in Denver that seems to be on a roll right now with new restaurants, bars + boutiques opening up every time I turn around, these old warehouse are becoming a very popular spot. 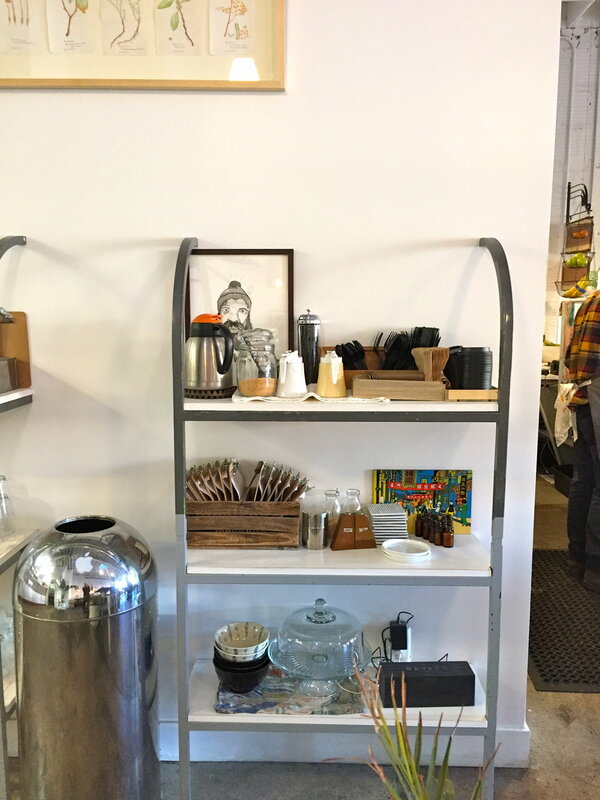 Stowaway Coffee + kitchen is a simple restaurant serving fresh fare + Boxcar Roasters Coffee that’s tucked away in a warehouse with very little signage marking its location, hence its name. If you follow my blog you already know I am a sucker for white interiors + this place has just the little extra to make this simple interior stand out. For starters it has an abundant amount of plants giving the space life + a natural color. 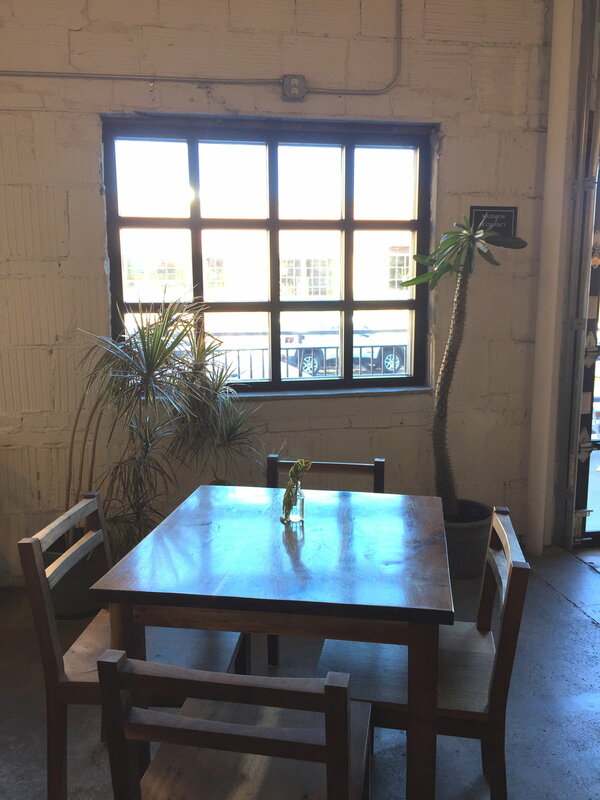 With the various wood tables, chairs, benches + booths (made by Local Furniture Maker Shigouri Woodworking) the space feels like it has multiple textures + colors without taking away from the simple look. 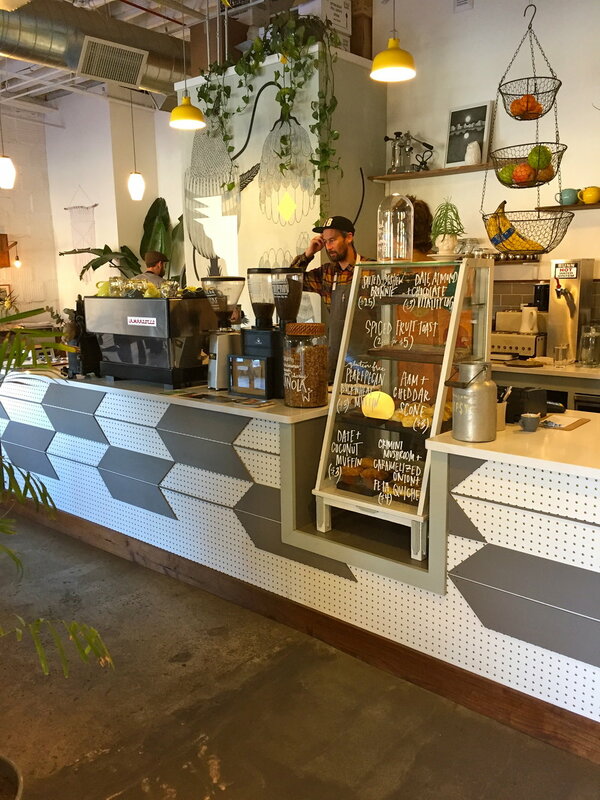 The custom wood light fixtures over the booths really are the star of this awesome interior simple + functional. The interior pays tribute to the warehouse roots leaving the exposed brick painted white of course, leaving the concrete floors with a mixture of wood where needed + the open ceiling all adding to the character that can’t be replicated without it existing in the space already. 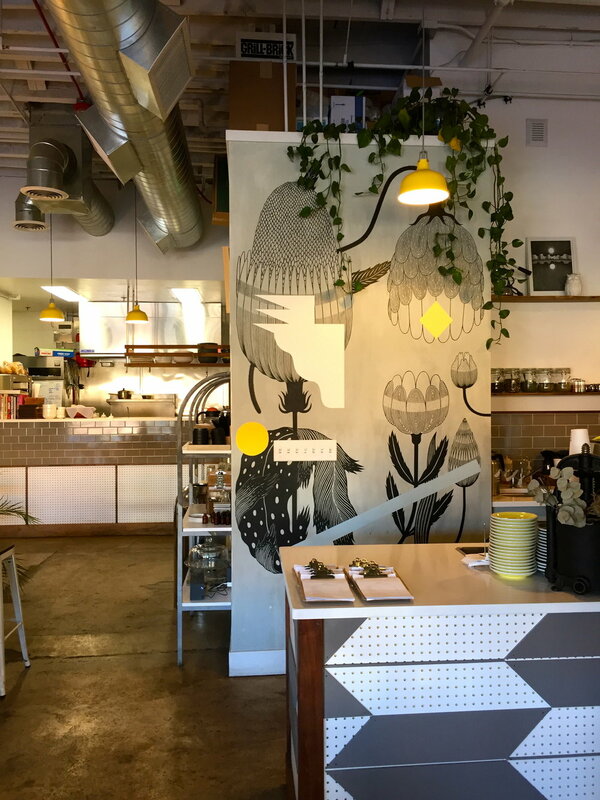 If you are looking for a great cup of coffee + a warm ham + cheese scone, or any other of a number of creative fares on the menu, Stowaway Coffee + Kitchen is the place to go in Denver, the staff is as friendly as can be + the interior is on point.